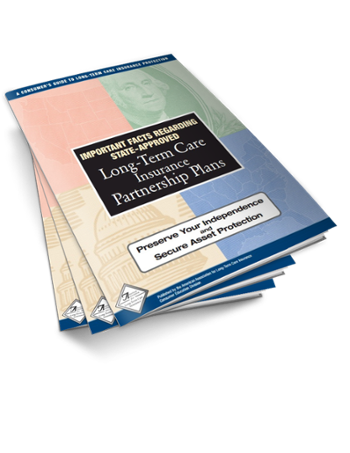 Get the "Consumer Guide to Long Term Care Insurance Partnership Plans"
Want to know about the dollar-for-dollar asset protection for qualifying insurance policies? What is the Long Term Care Partnership? How can Partnership Policies Benefit You? Do all Long Term Care Insurance Policies Qualify?